Since the day I recieved my phone call about an opening in my field, everyone has been helpful, determined & very willing to help me achieve the success that I want. Great service! Highly recommended! Lofton Security is a great company to work for. The supervisors are very professional and helpful. There is opportunity for growth if you are willing to work and get the job done. I love working for Lofton Security. Excellent supervisors and office staff. Lofton Staffing Services employed me at a time when I really needed it. I didn't have to wait on a job, and any problems or questions that I have is answered immediately. I appreciate the opportunity Lofton Staffing has given me. Lofton is an awesome company to work for. The office personnel, administrators and supervisors are very professional and they genuinely care for the employees. Lofton has provided Security Officers on short notices. All of the employees that have worked our job are very respectfully. They should all be recognized for their services. 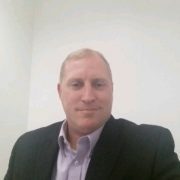 Dustin Winn is a Human Resource professional with more than 16 years recruiting and management experience. He has a Bachelor’s degree in Management from the Columbia Southern University in Orange Beach, AL. His impressive background includes Senior Management in recruiting for the U.S. Army for 12 years and over 5 years human resources recruiting in the private sector. Dustin’s leadership and talent programs increased retention and saved his firm millions in hiring and unemployment fees. He has served in all aspects of Human Resources from general recruiting to Human Resources Director responsible for the recruitment of employees internationally. Dustin brings his vast experience utilizing multimedia tools and leveraged technology to find the best qualified talent to meet the specific needs for our client in the Golden Triangle.